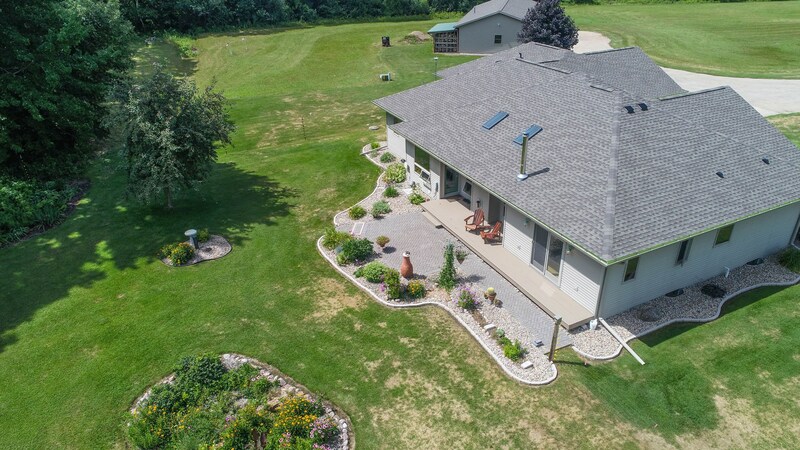 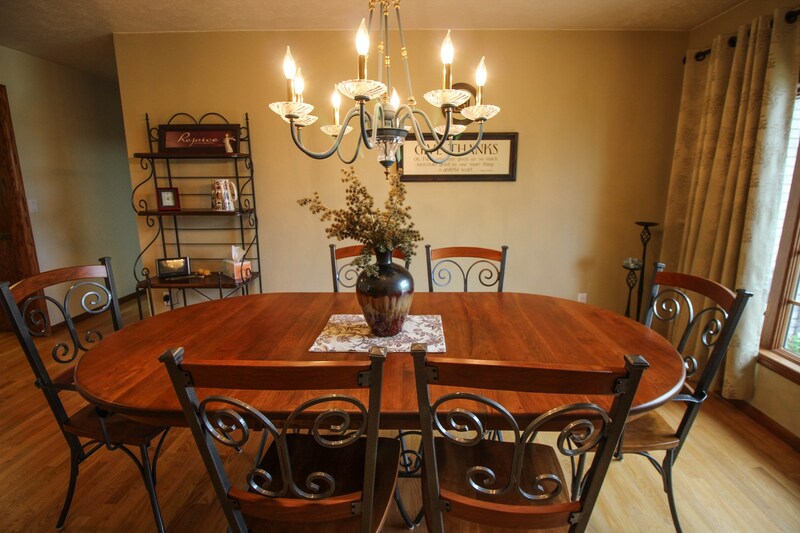 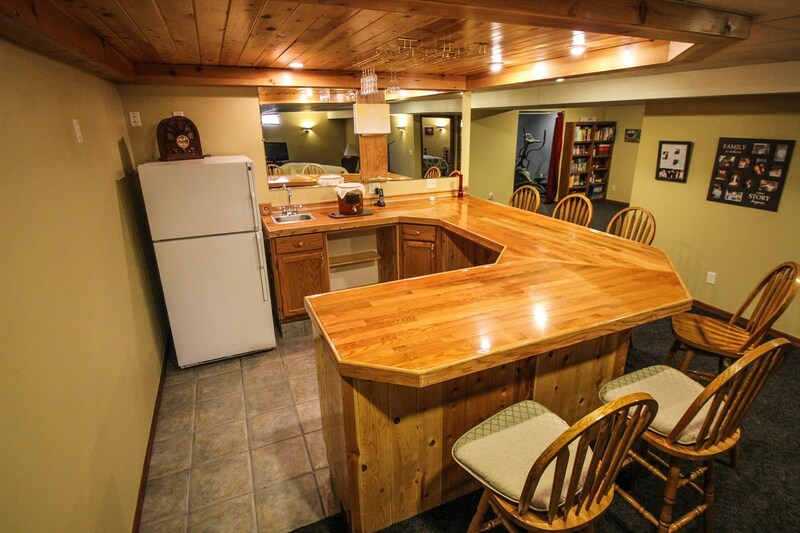 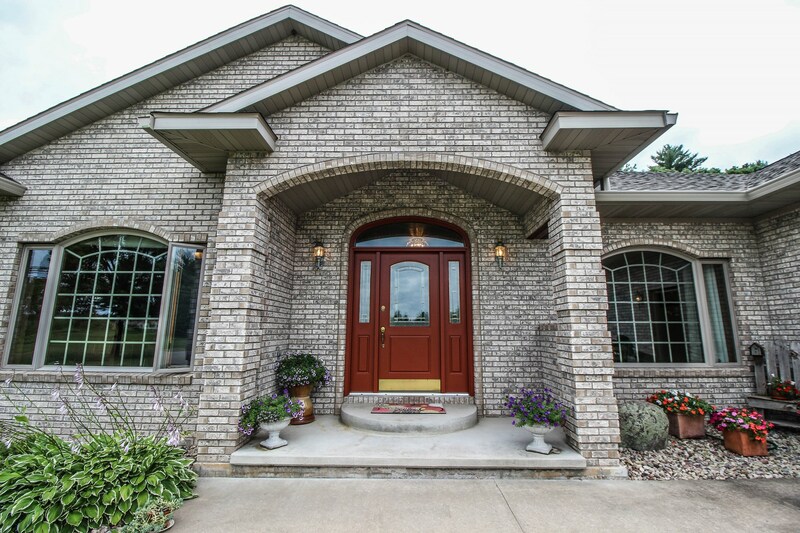 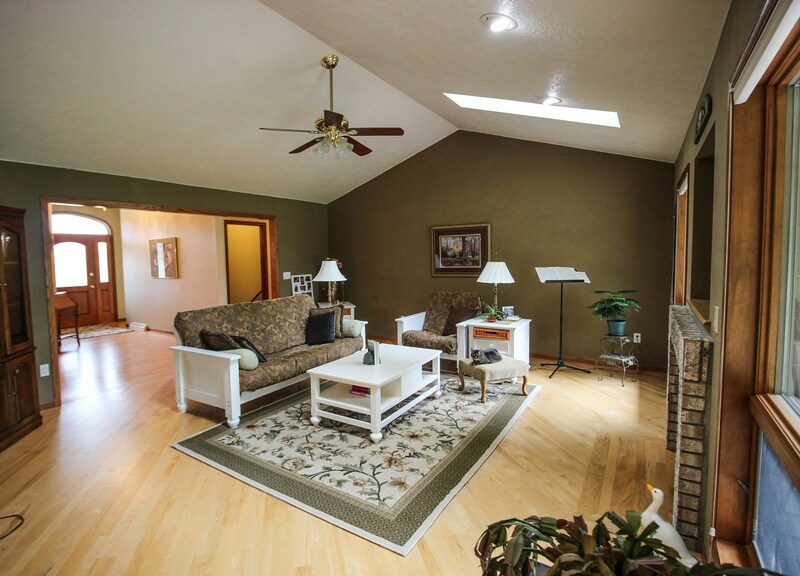 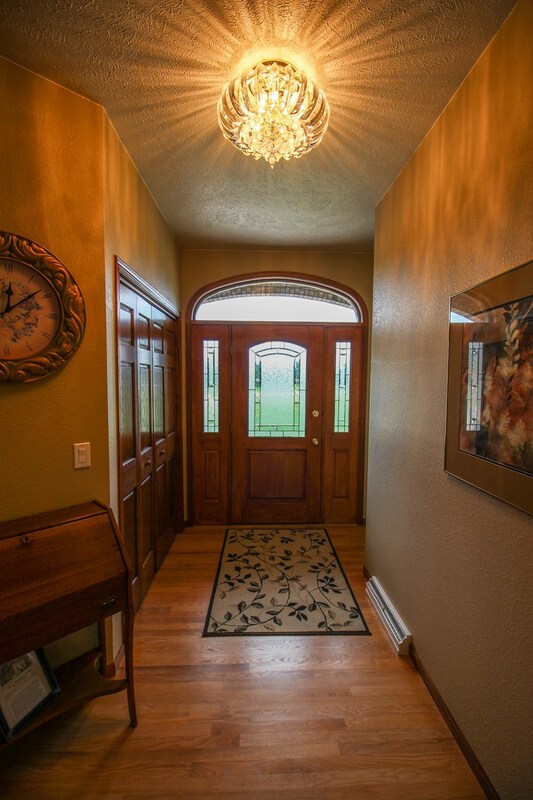 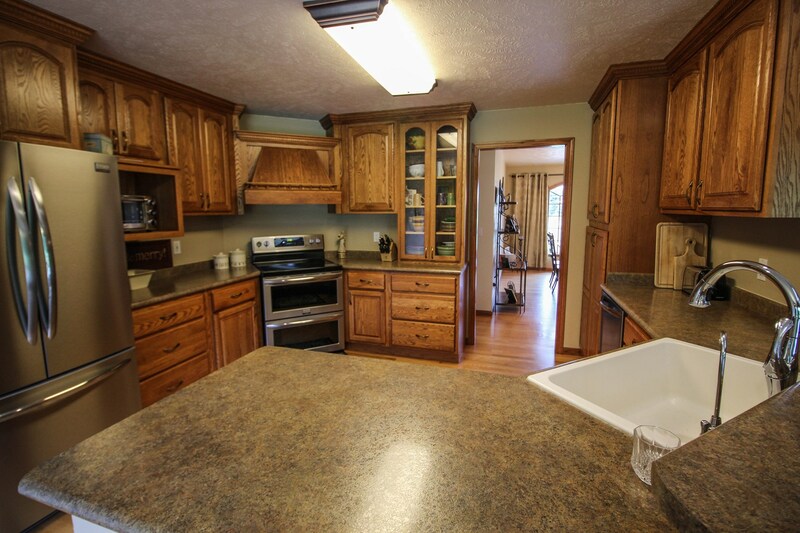 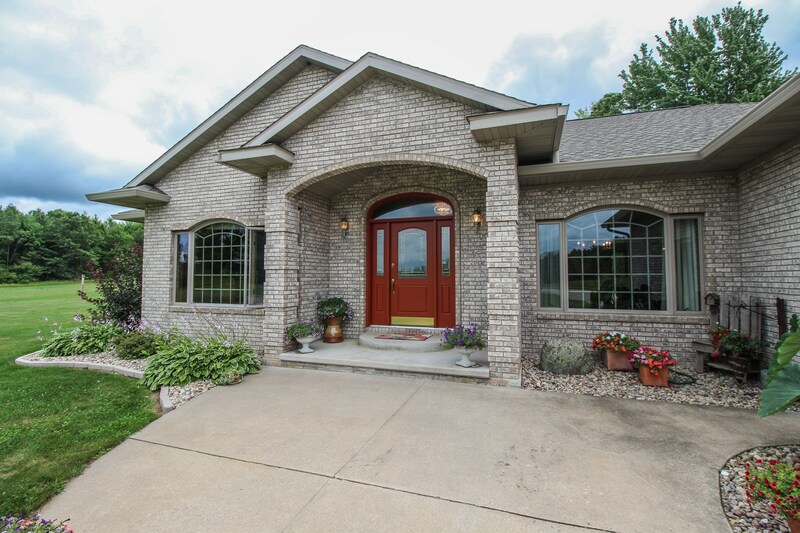 Gorgeous and sprawling ranch home boasts 4500 sq ft of private country living. 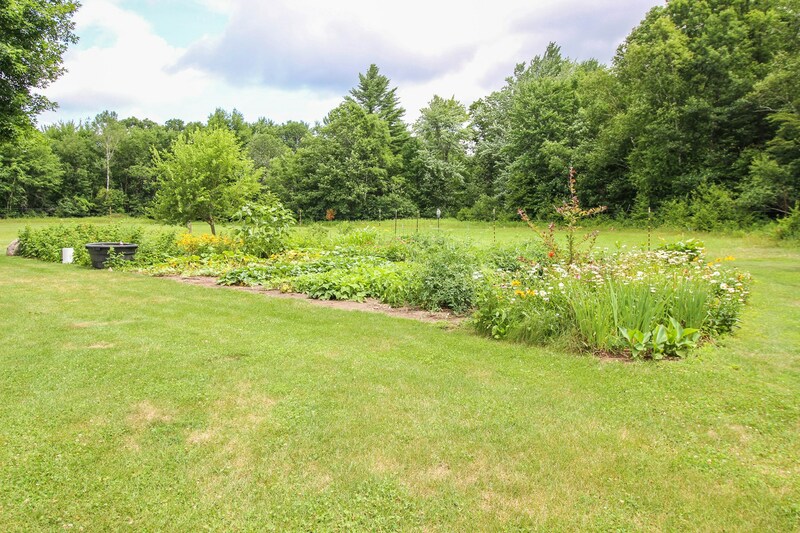 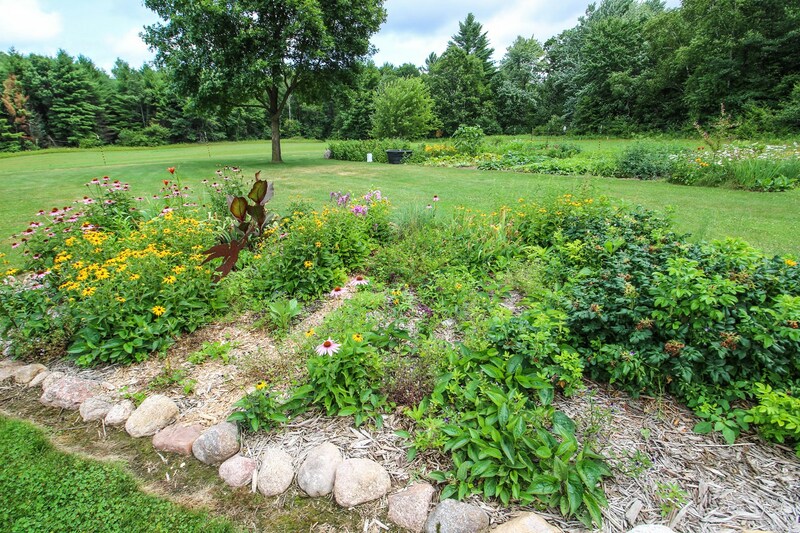 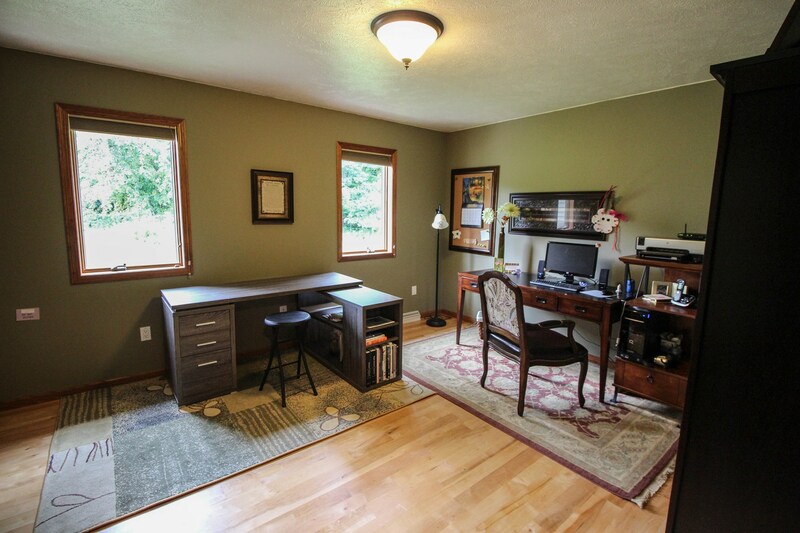 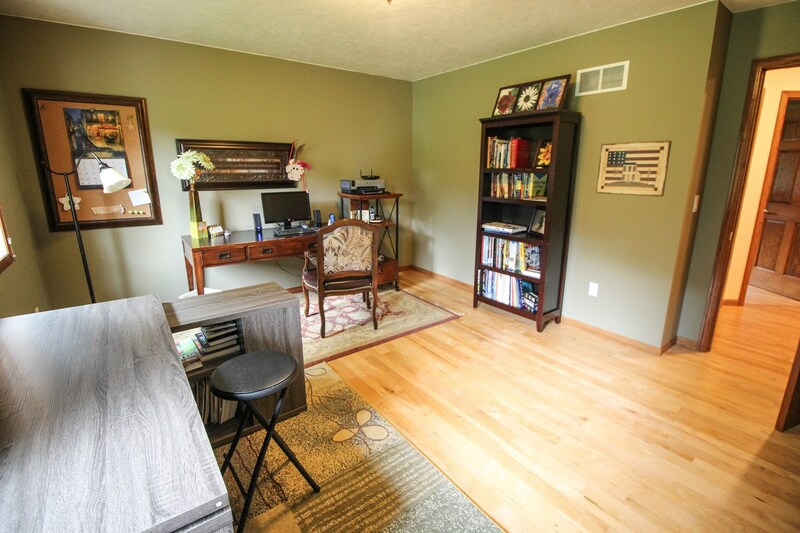 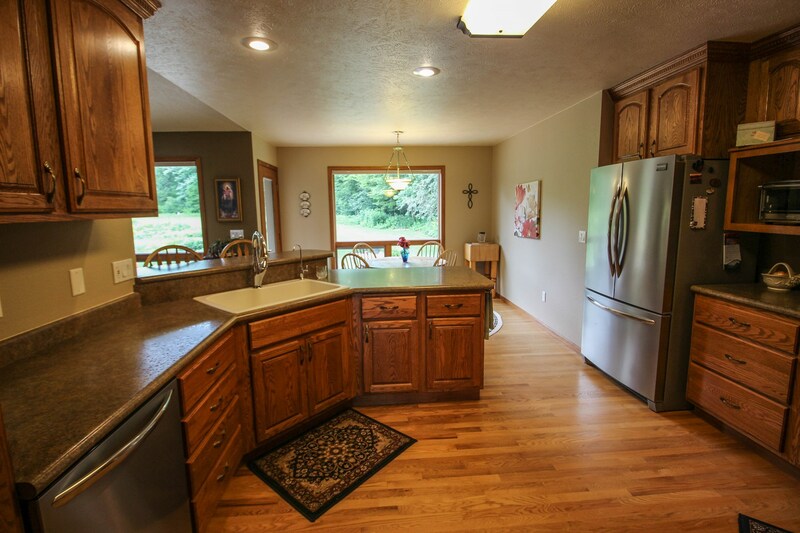 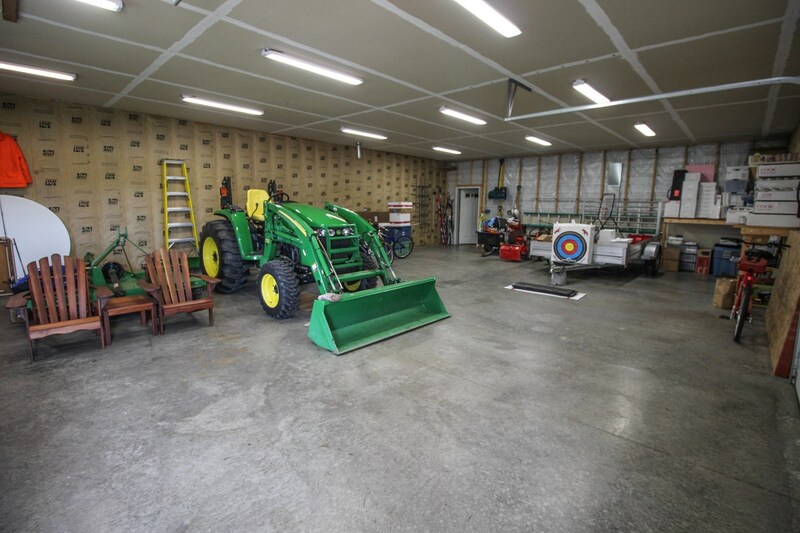 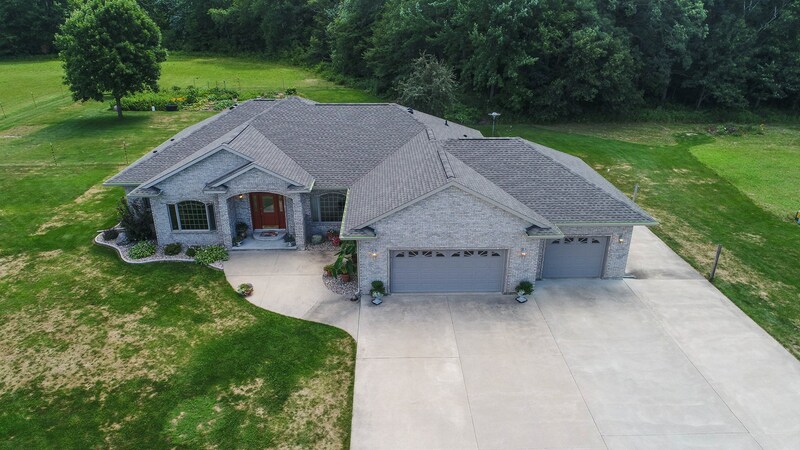 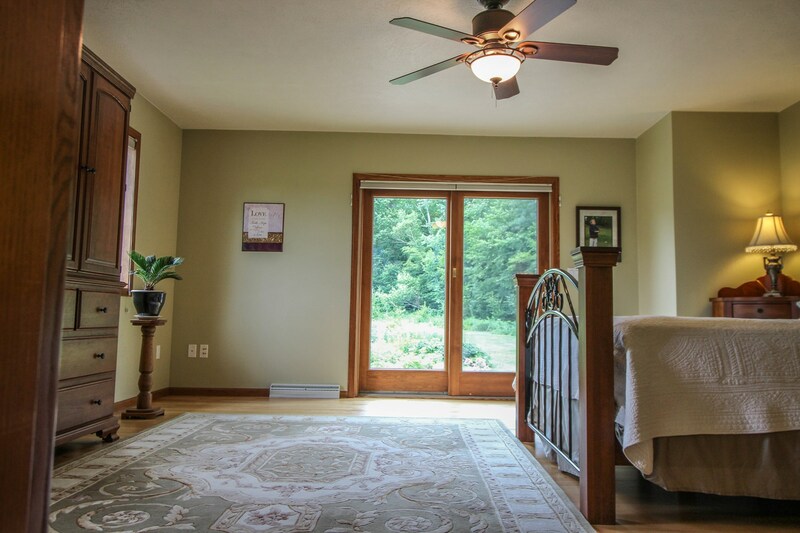 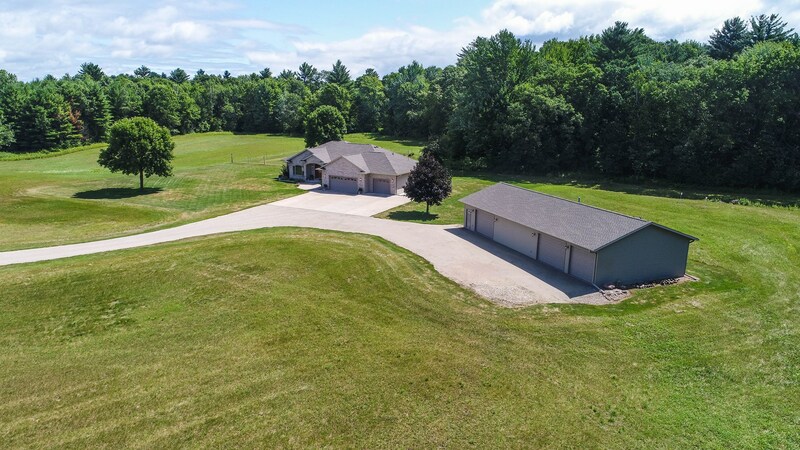 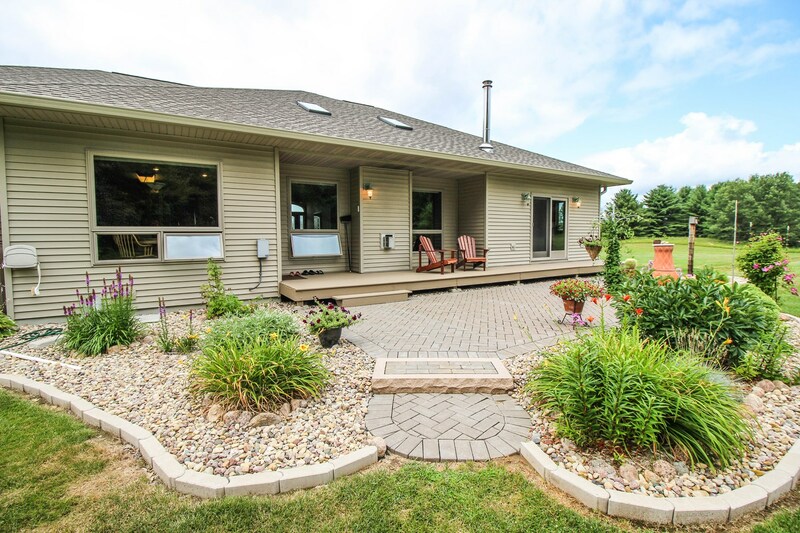 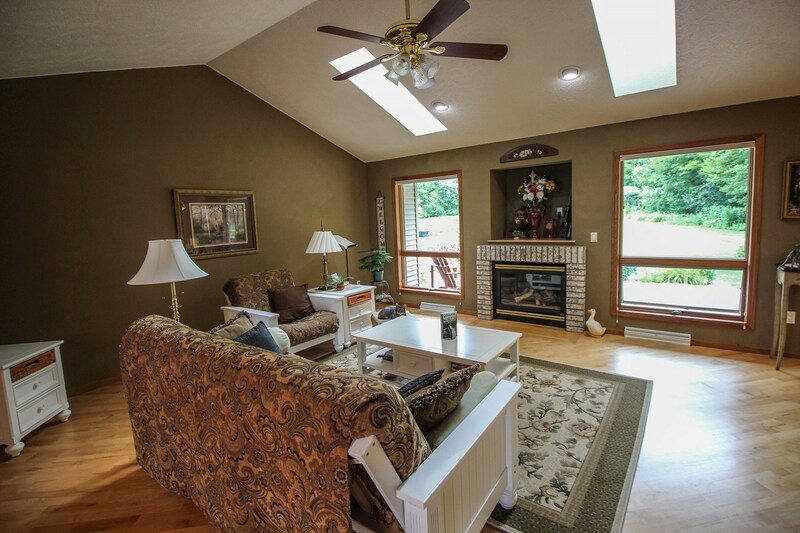 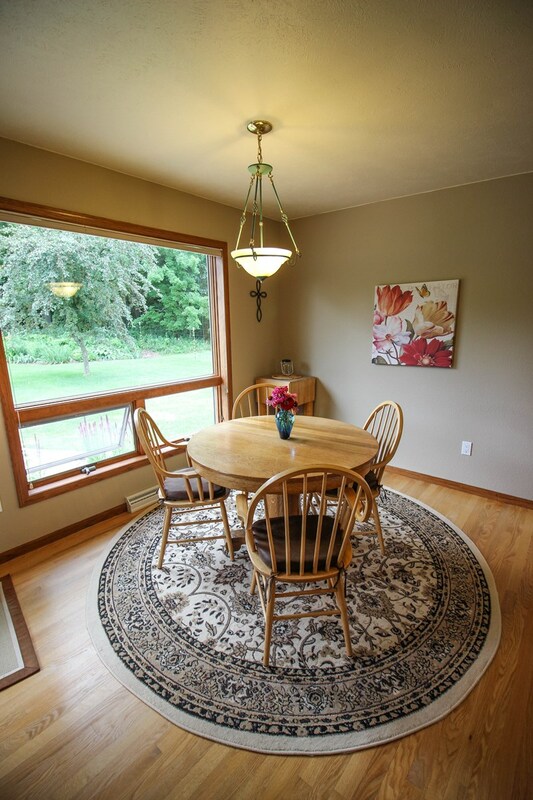 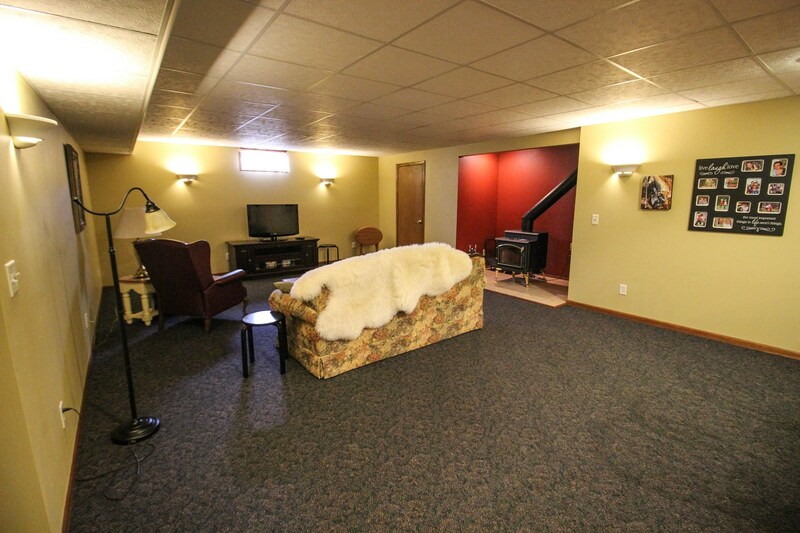 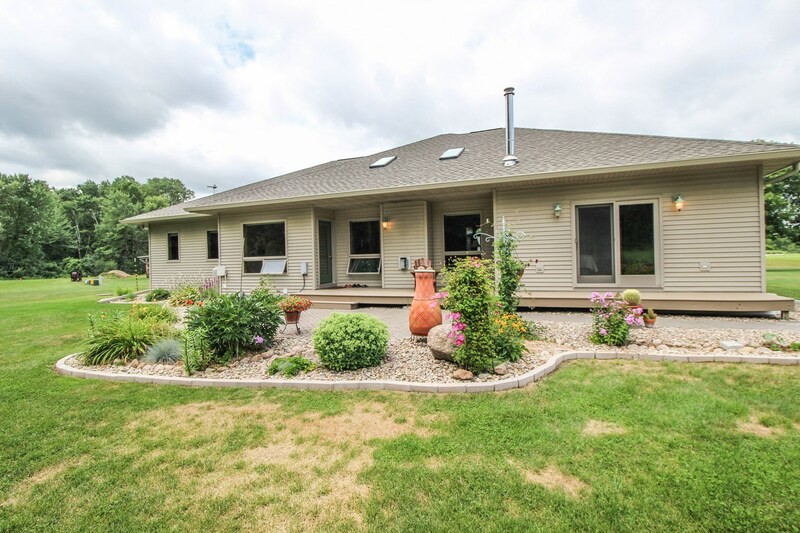 This well-constructed home is located at N8014 Cty Rd G in Iola, WI on 17+ Acres. 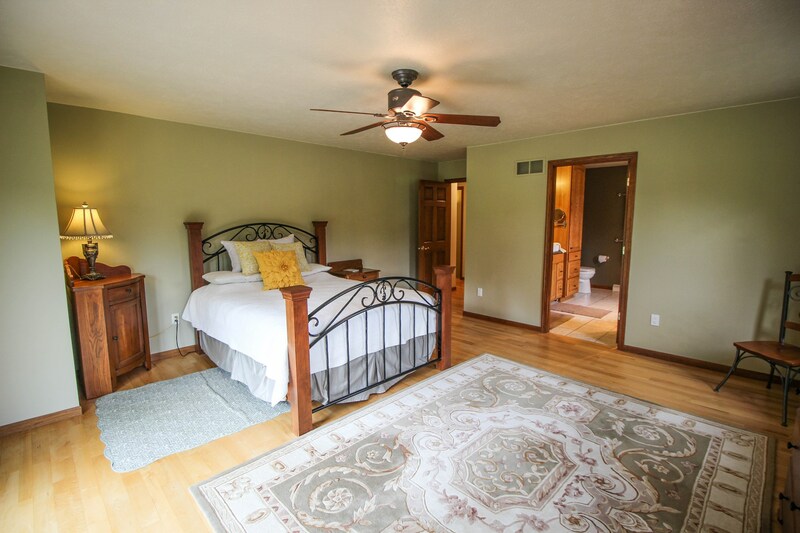 This open-concept home has a convenient split bedroom design. 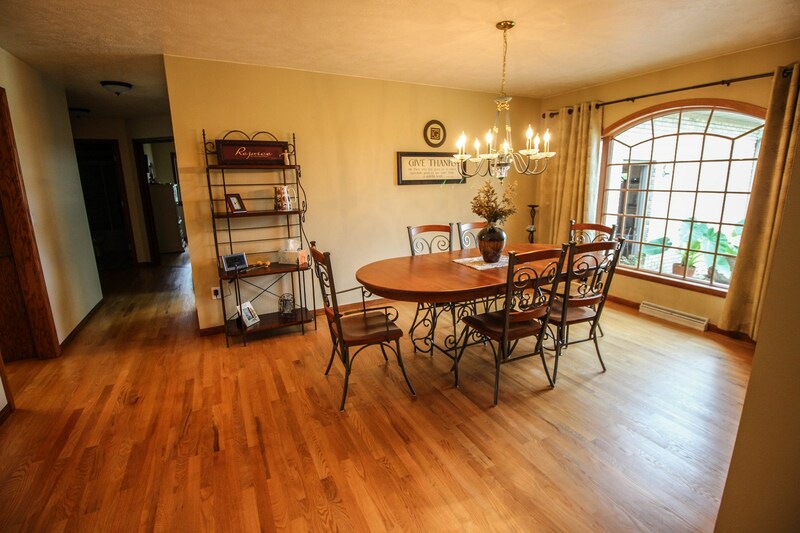 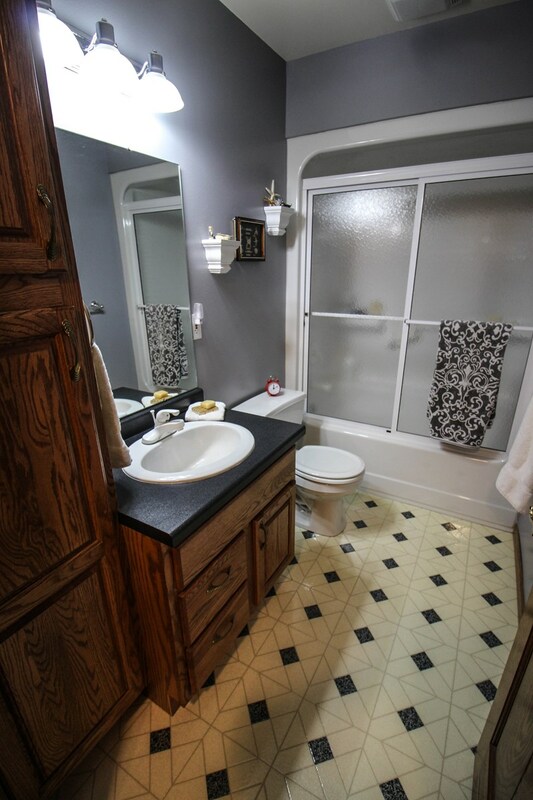 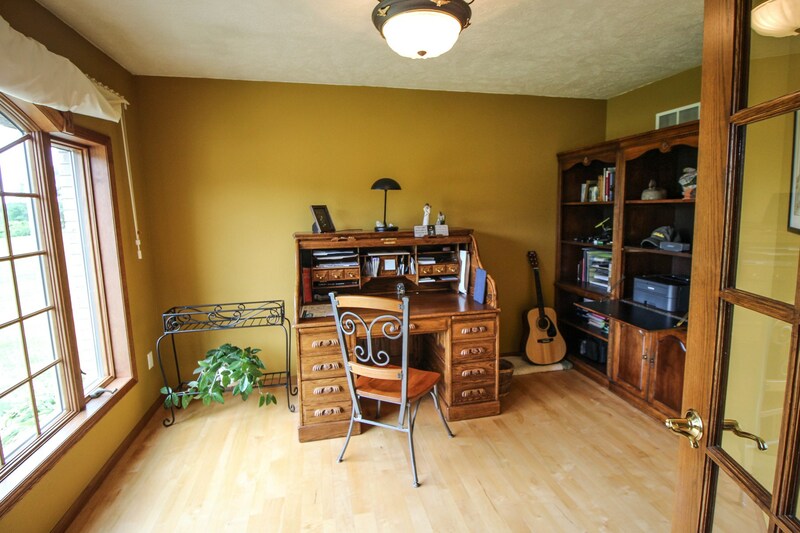 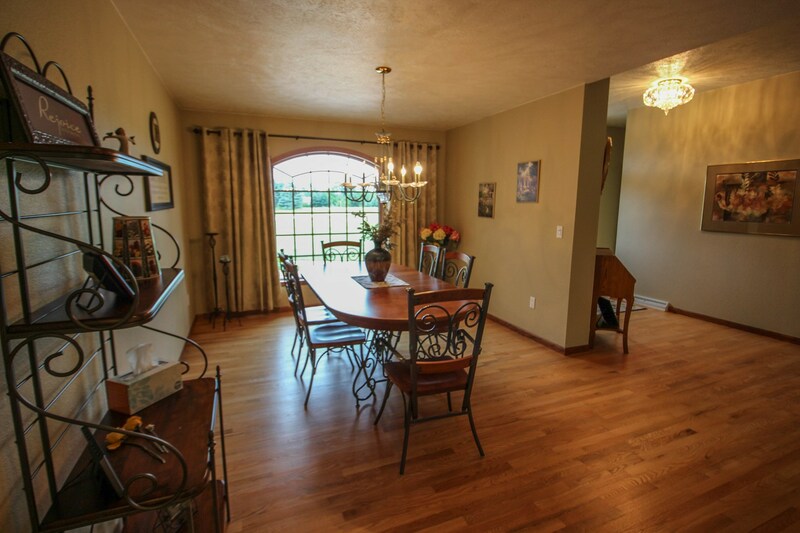 The entire first level has hardwood and tile floors, flowing between the large rooms. 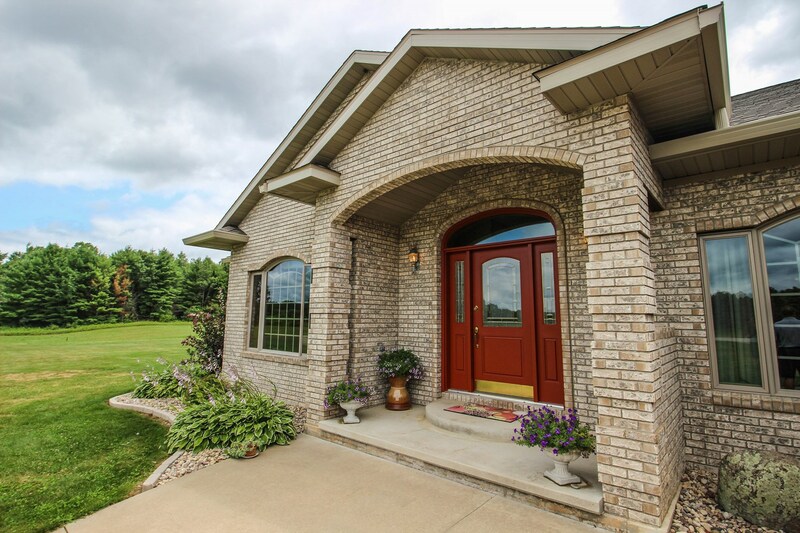 The entrance itself is quite lovely and it opens to a warm and inviting living room with gas fireplace, vaulted ceiling with sky windows, and views to the meadow and woods beyond. 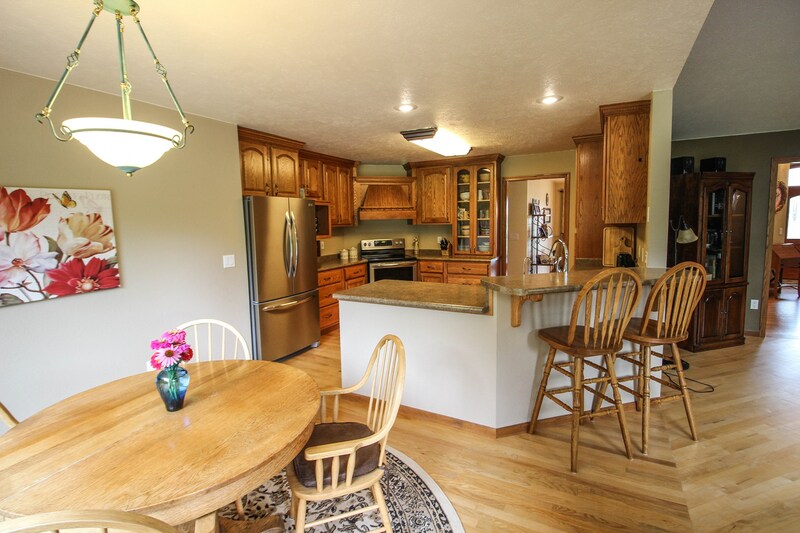 To the side is the family eating area just off the kitchen. 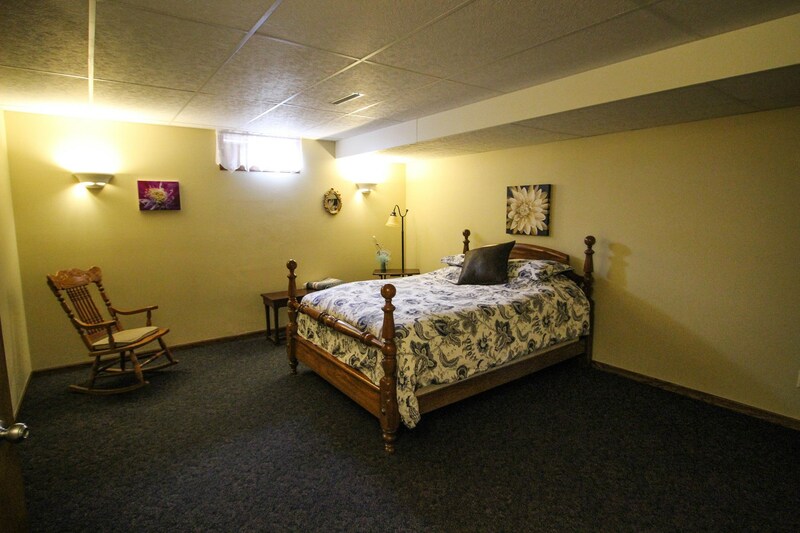 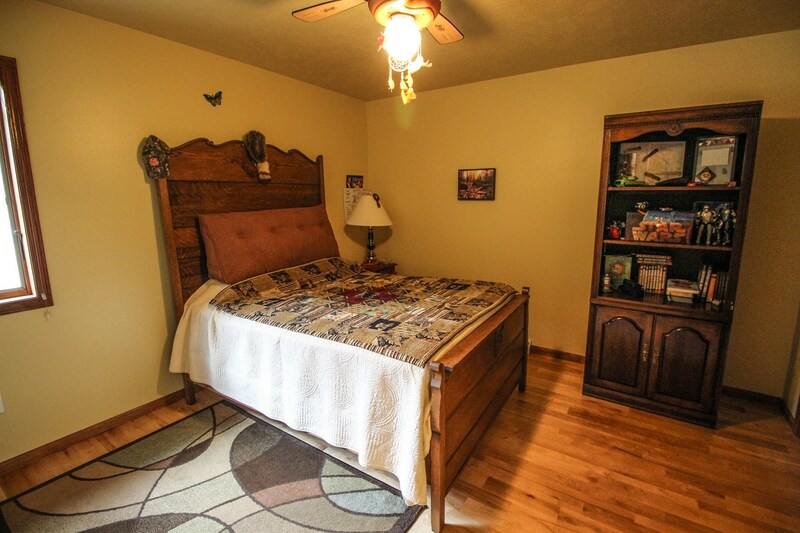 Then down the hall are 2 large bedrooms, a full bath, and large laundry room. 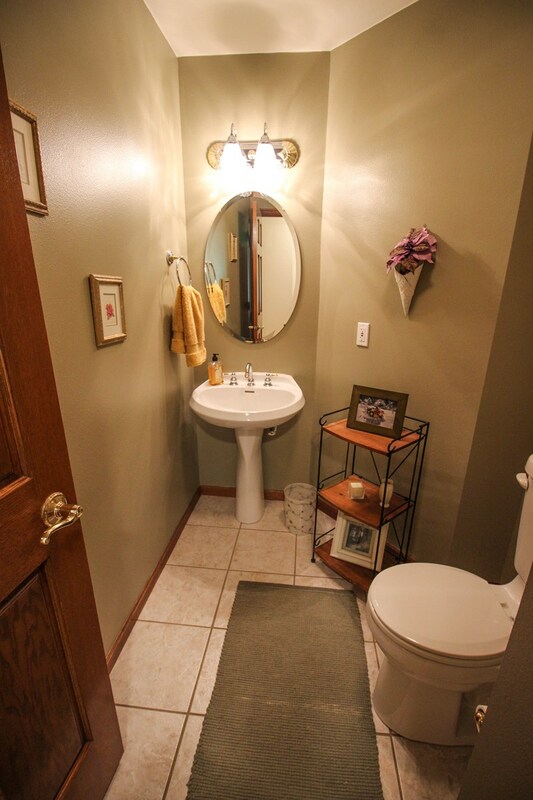 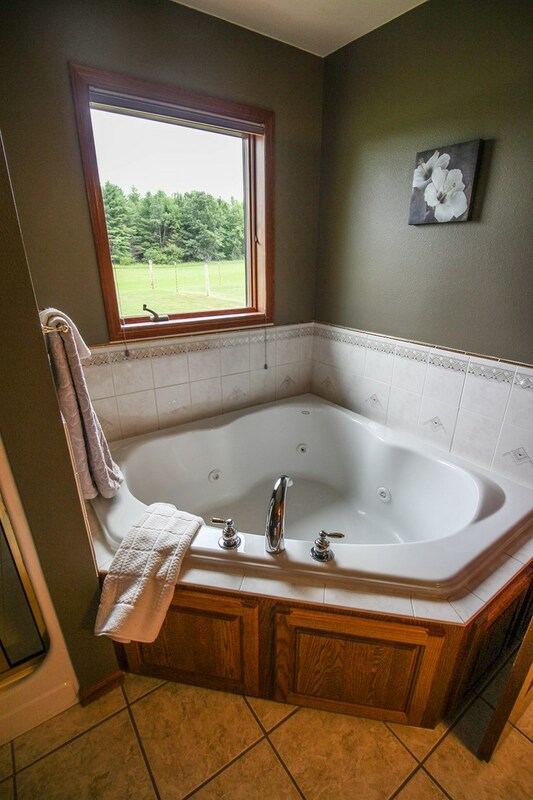 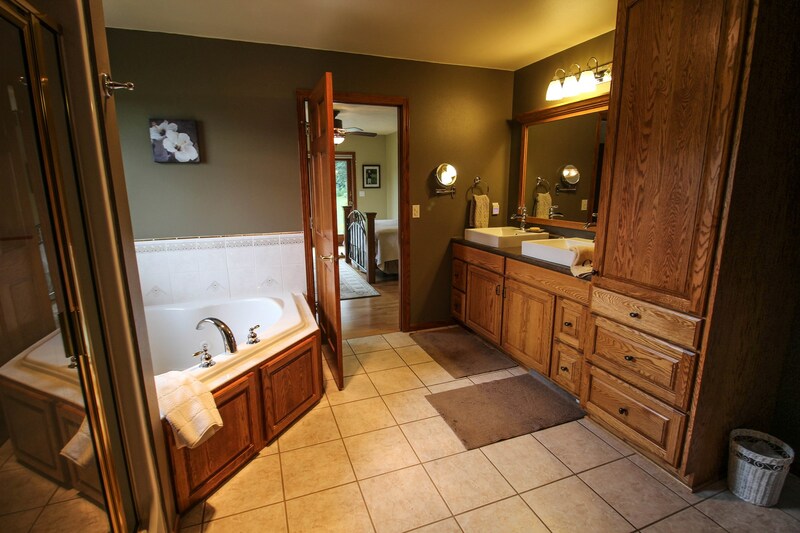 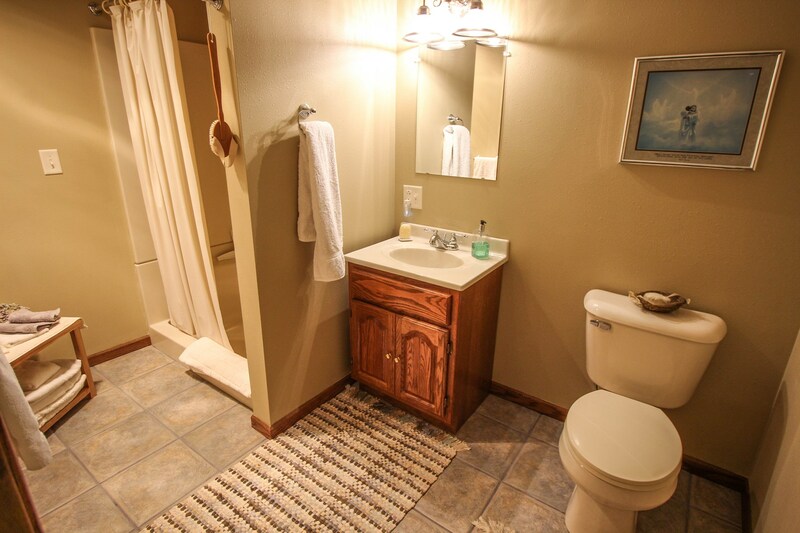 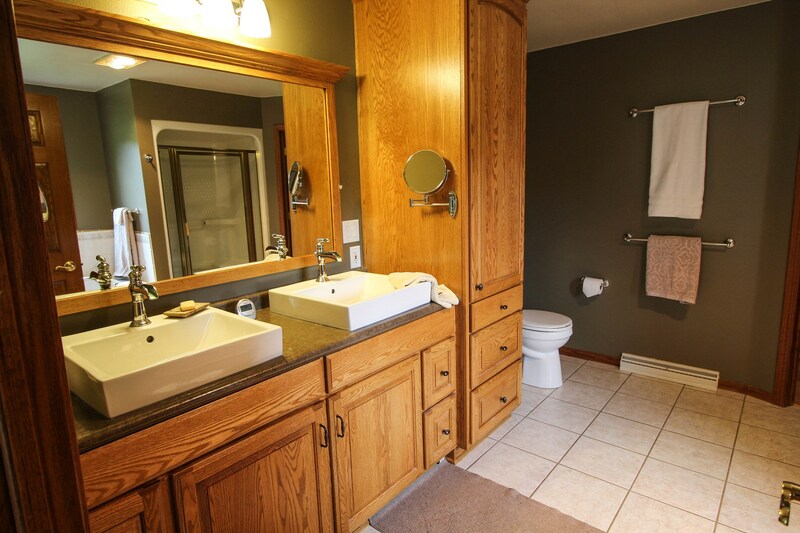 To the opposite end is a half bath, the master suite complete with corner whirlpool tub. 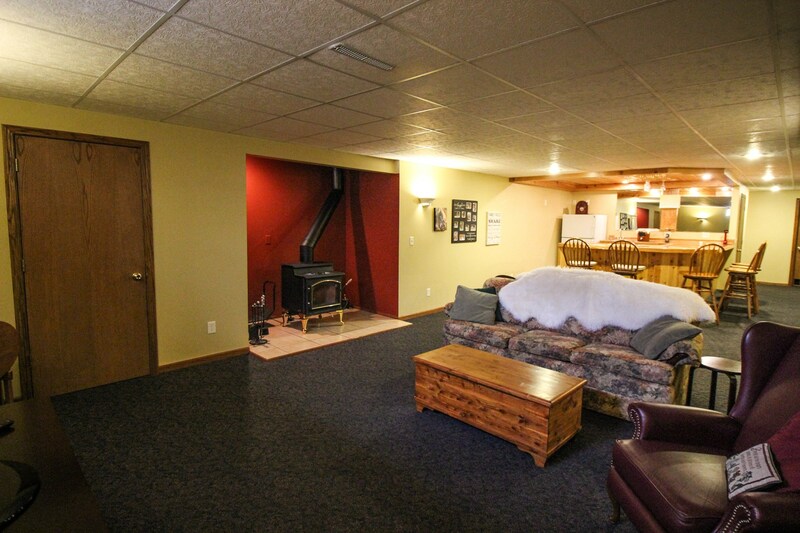 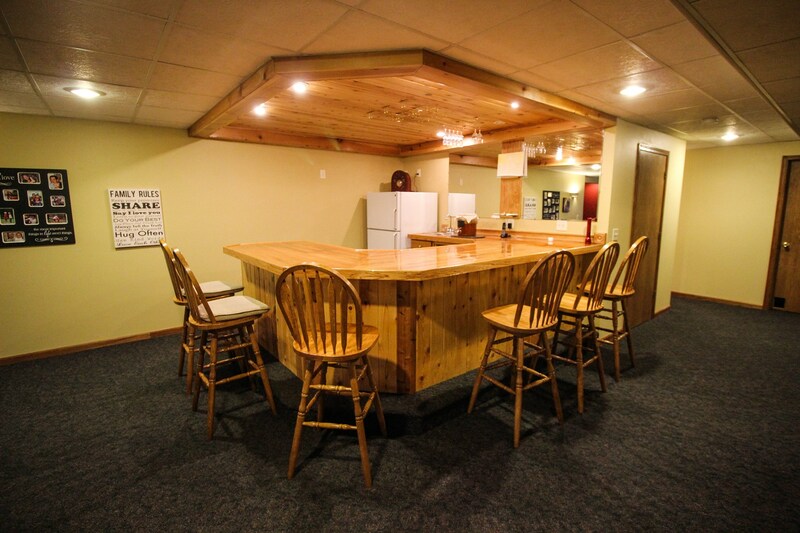 The lower level has a huge family room with free-standing fireplace and a fabulous bar with sink- all perfect for entertaining and a casual lifestyle. 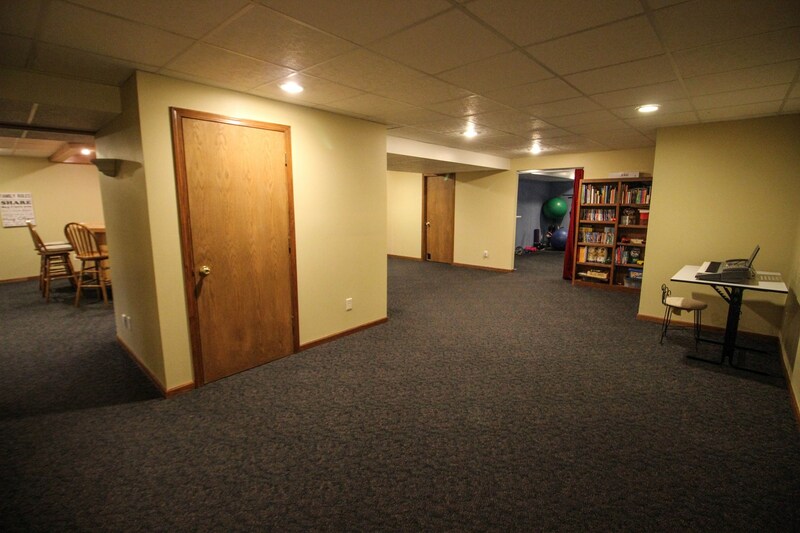 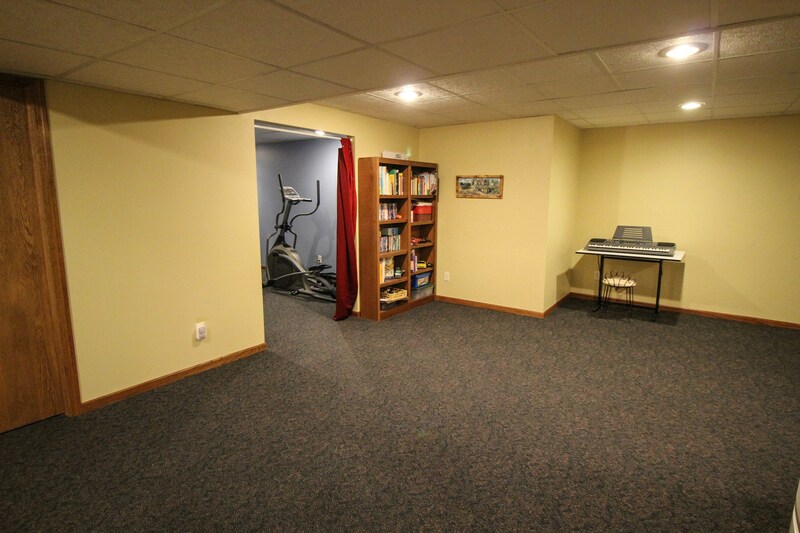 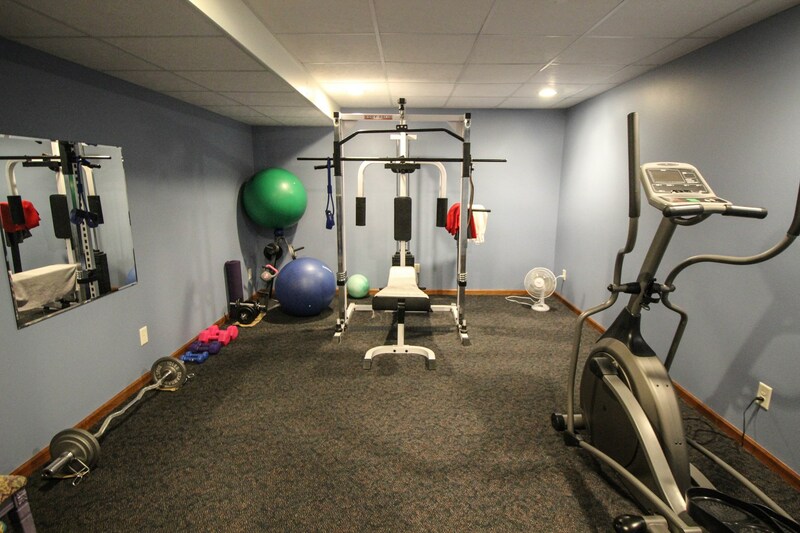 Also on this level is another large room with closet, full bath, and 17 x 12 ft exercise room. 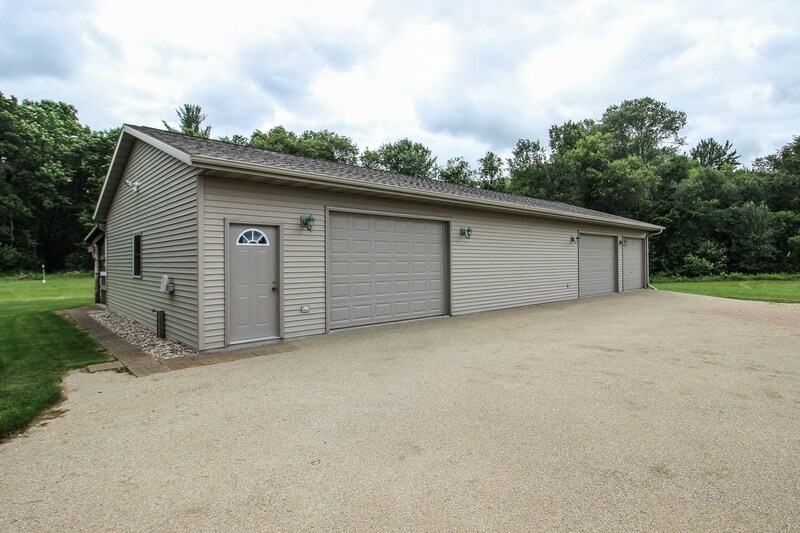 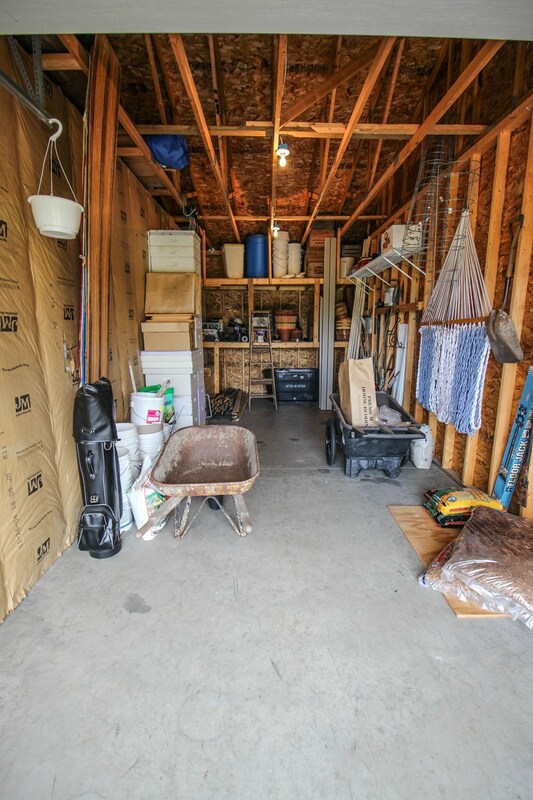 The 3.5 car garage is attached and insulated and the detached 5-car garage is also insulated and houses a workshop. 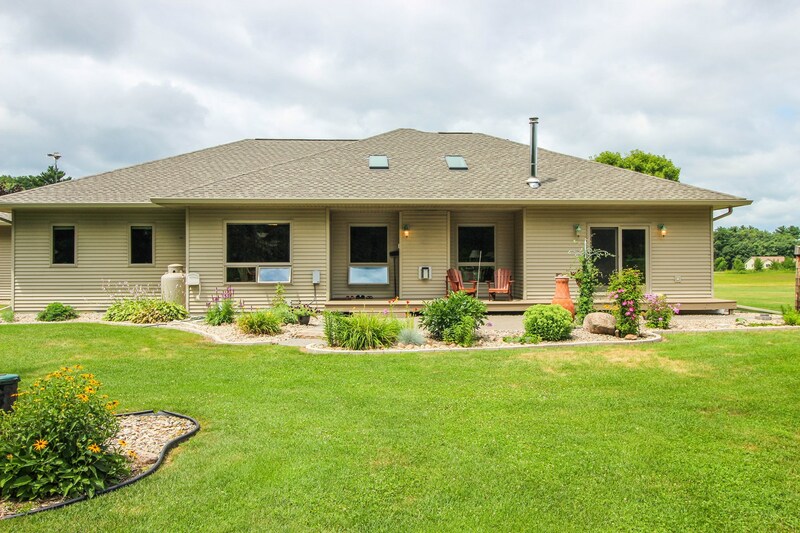 The Geothermal heating/cooling system will save you money all year long. 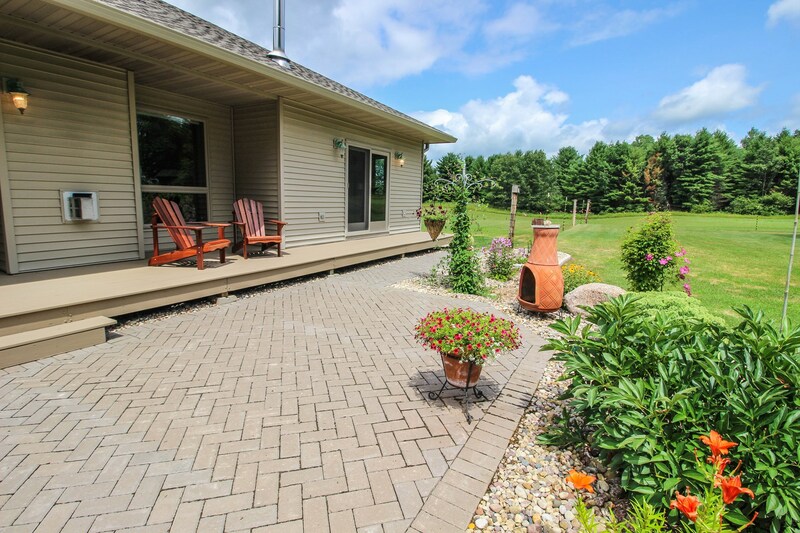 So kick back and enjoy the great backyard from your deck and the tasteful landscaping. 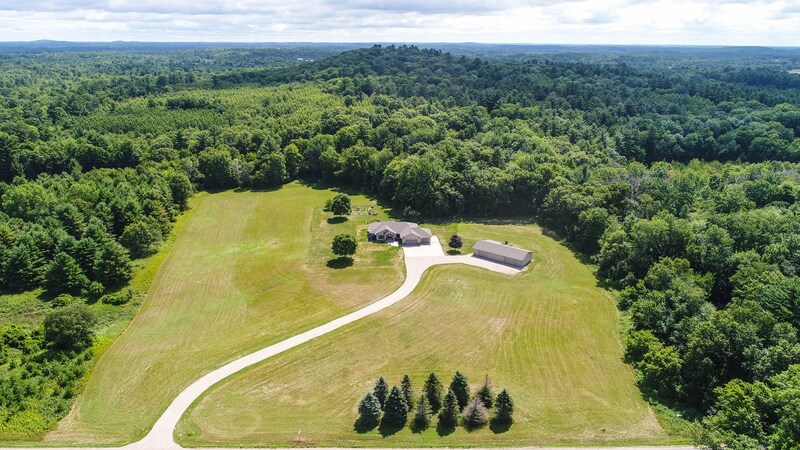 The long drive and heavily wooded areas of the property provide seclusion and wildlife viewing. 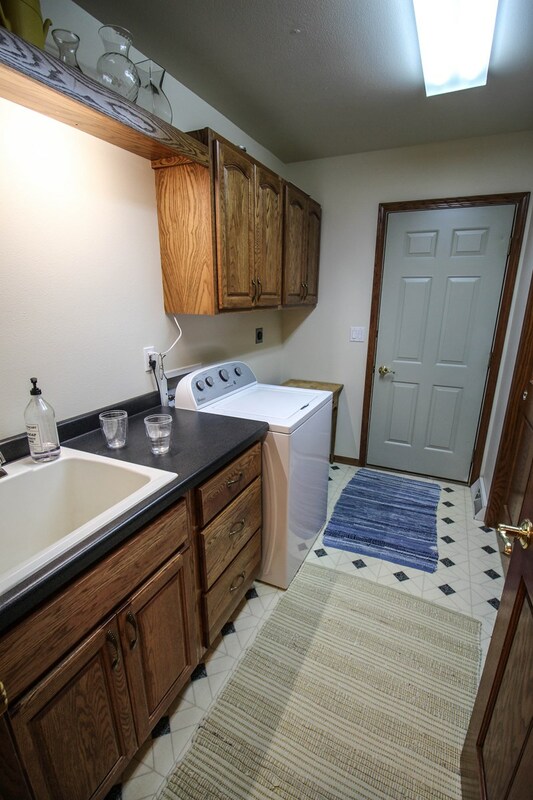 Updates include new kitchen appliances, roof and gutters on house, roof on detached garage, skylights in living room, and water softener. 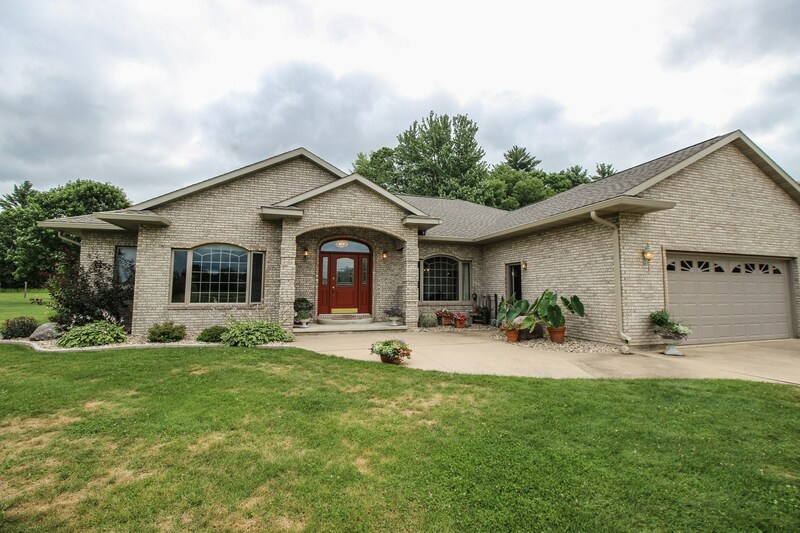 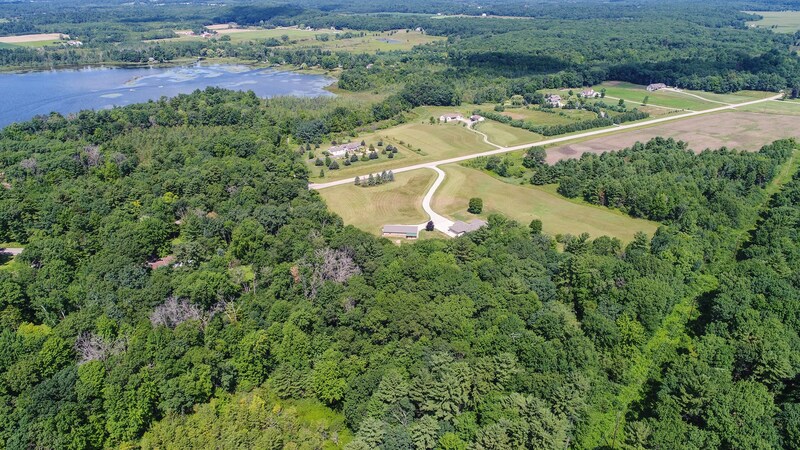 Call Joe Udoni to schedule a private showing of this wonderful country property!